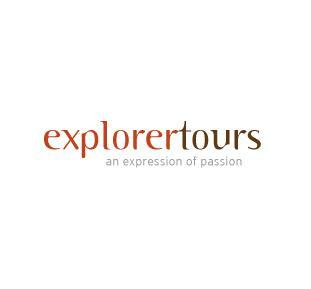 Explorer Tours is another reputable Dubai based Tourism Company that offers team building programs, arranges corporate adventures and other outdoor activities for adventurous individuals. Moreover, they offer special packages for school going children. These unique deals of Explorer Tours makes them not only different from the rest, but also more alluring, as they have been able to seize a decent base of customers because of such packages. This tourism company has offered these unique packages because they believe it will make their clients more efficient and effective, no matter whatever age group they belong to. In addition, the standard of Explorer Tours’ service is also pretty good, as their team dedicatedly work to satisfy every customer. Explorer Tours has an extensive array of tours and excursions for all ages, as they have also developed a special package for school children as well. People can find the packages related to school children under their school package caption. Aside from this, Explorer Tours also organizes camping, raft building, mountain hikes, rock climbing, abseiling and canoeing, as they have set up a camp just outside Dubai to carry out such activities. Desert safari, Dhow cruising, team building & corporate adventures and extreme explorer packages are also offered to the clients. As Explorer Tours believe that outdoor activities make people in corporate and other professional sectors more active and enables them to think out of the box. The regular operational hours of Explorer Tours are from 9:00 am to 6:00 pm between Saturday and Thursday. 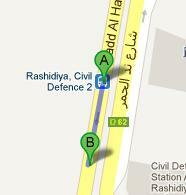 Nad Al Hamar Road, Rashidiya, Dubai, United Arab Emirates. Since there is no metro station in the close proximity of Explorer Tours, so you need to hire a cab or go by bus. Rashidiya, Civil Defence 2 – Dubai bus stop is just 90 meters away from Explorer Tours’ office in Rashidya, Dubai and on foot a bus passenger can cover this gap in approximately 1 minute. If bus passenger heads south on شارع ند الحمر‎/D 62 towards 5th Street after landing at this bus station by using bus number 32C or 48. View map for directions.